We have a TON of mint growing at our house currently and our friends have a lime tree and often send us home with more limes than we know what to do with. So, we drink limeade. First, roll the limes (in order to help them release more juice) then quarter the limes. In a large cup combine the lime mint and sugar. Muddle with a wooden spoon, (or a rolling pin) until the sugar is completely dissolved. Fill the rest of the cup with water (about 1 cup) and strain into a large pitcher over ice and add remaining two cups water. 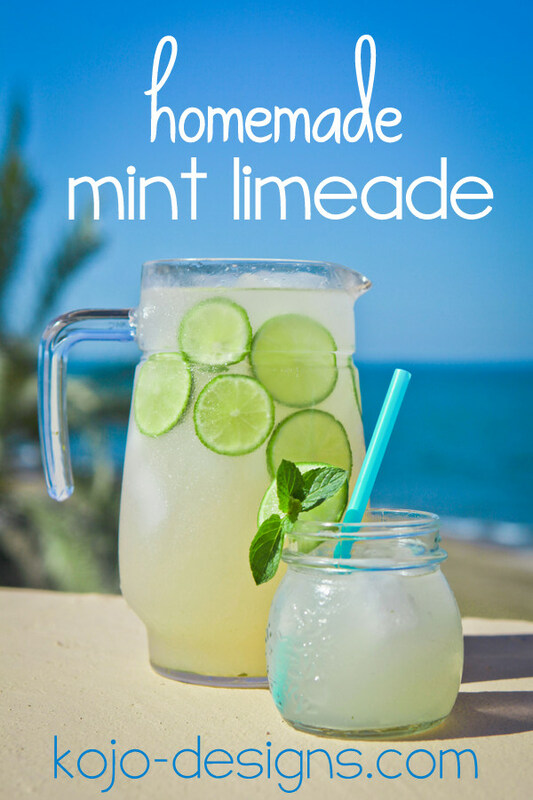 This limeade is so refreshing! Make it and embrace the coming warm weather! 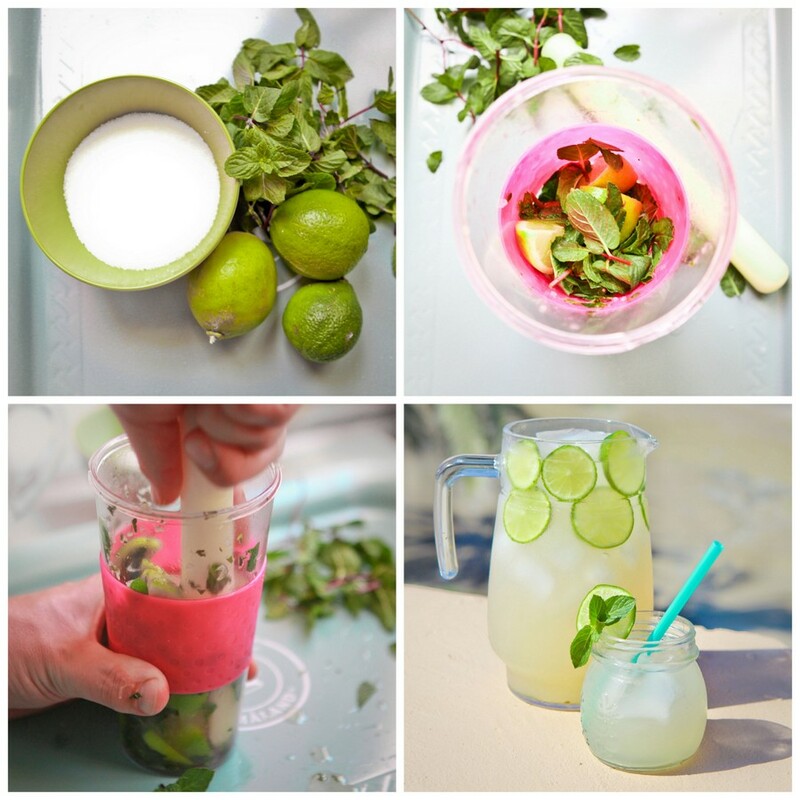 Or help your kids make a limeade stand! 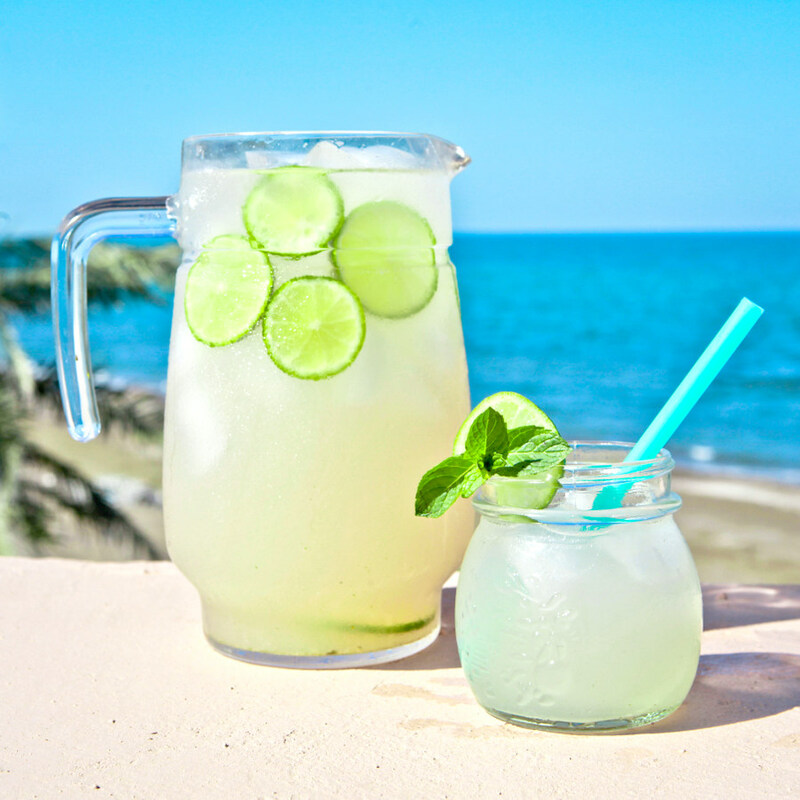 Wow, this limeade looks amazing! What sort of sweetener did you use? I was thinking about looking into some natural sweeteners. Hey Tess, we just used sugar (see the recipe for the range of amounts). I think natural sweetener is a great idea- will you keep me posted on the amounts you used and how it turned out?